LOVE this backpack. It's just right size for a large laptop and has plenty of pockets but not so many that you forget where something is. Easy access and comfortable to wear. I took this pack to Italy, all over Florence and through many towns and wineries, on the train, and more. Now i use it as my every day backpack and co-workers want it! 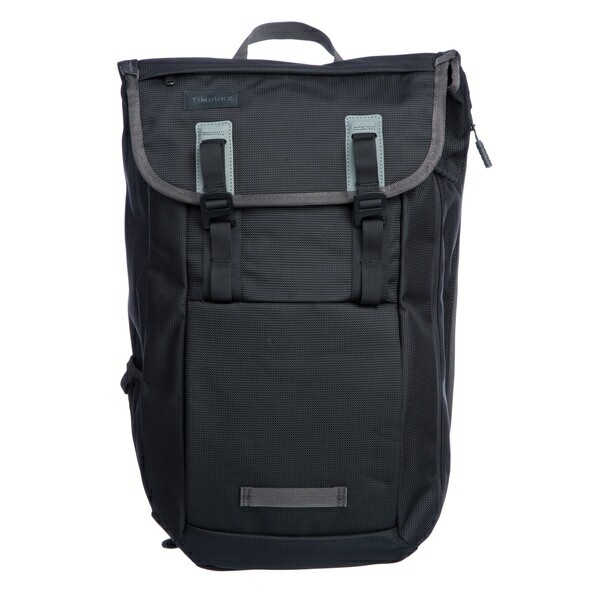 Travel the world with this black backpack that comes with many pockets to organize and keep your belongings safe. Complete with three (3) exterior pockets and six (6) pockets, this bag can hold your phone, sunglasses, tablets, pens and more. Internal organizer for pens, phones, and other small stuff. Tricot-lined floating pocket protects sunglasses or smartphone. Ventilated back panel to give your back breathing room. On-strap bottle opener for party tricks and quick refreshment.